Treat your everyone to these original flavoured lollipop treats that will have everyone reminiscing about their school days! Fill up a goodie bag and have fun all evening as you party the night away with these fun sweets. INGREDIENTS: Sugar, Stearic Acid, Modified Starch, Acidity Regulator: Malic Acid, Cornflour, Magnesuim Stearate Flavourings, Anti-Caking Agent: Magnesium Carbonate: Colours: Anthocyanin, Copper Chlorophyllin, Curcumin, Lutein, Paprika. No Artificial Colours. Individual wrapped. Suitable for Vegetarians. Glow in the dark at any rave, disco or festival for hours as you dance the night away with your girly friends in this pink glow bracelet. 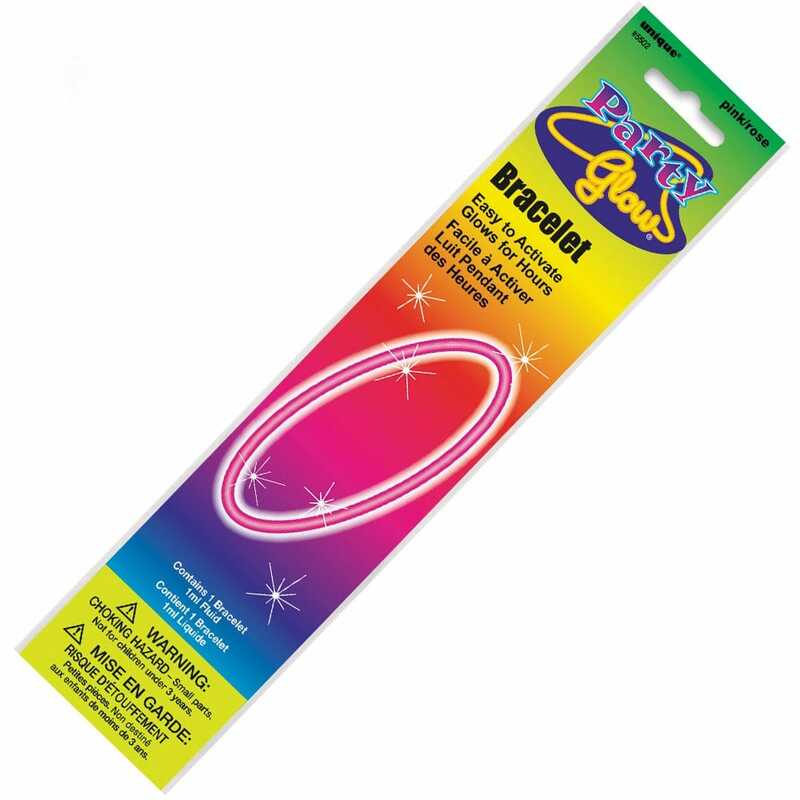 Contains x1 glow stick and 1 connector to bend it to shape to wear as a bracelet. 1ml fluid, not suitable for children. Showing our 5 X1 Pink Party Glow Bracelet reviews with an average rating of Excellent. Would you like to write a review? Nice extra for hen party. Bit fiddly to put on, came off and got lost on it's own during the evening. Review - Good price, good colour and they lasted a few hours. Good price, good colour and they lasted a few hours. Review - Good price, good colour and they lasted for a few hours! Good price, good colour and they lasted for a few hours! Review - These were good and an interesting addition for the hen party, nice colour. I bought eight and one of them was defective so the quality isn't perfect, but a nice extra to have - just buy some spares. Also a bit fiddly to join together as a bracelet if you've had a few! These were good and an interesting addition for the hen party, nice colour. I bought eight and one of them was defective so the quality isn't perfect, but a nice extra to have - just buy some spares. Also a bit fiddly to join together as a bracelet if you've had a few!